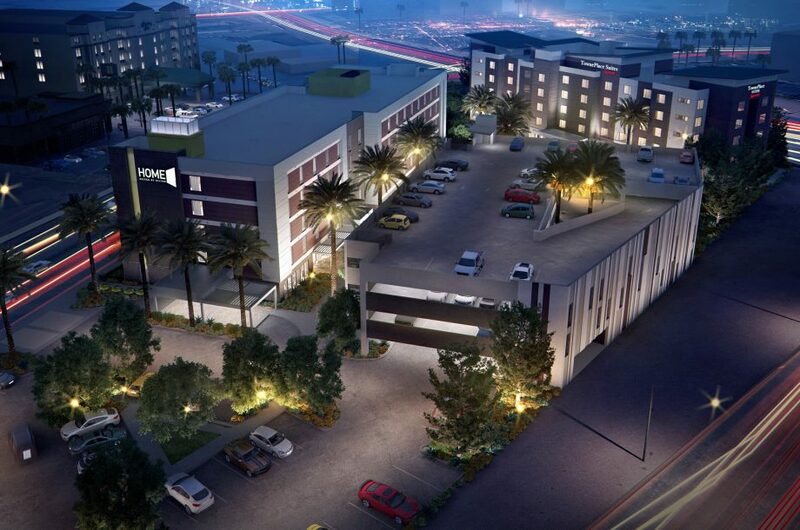 We are excited to announce the recent opening of two distinct hotel brands, Marriott TownePlace Suites and Hilton Home2 Suites, located on a shared site, directly off of Interstate 15 at Tropicana Avenue, Las Vegas, that formerly held the Golden Palms Casino. 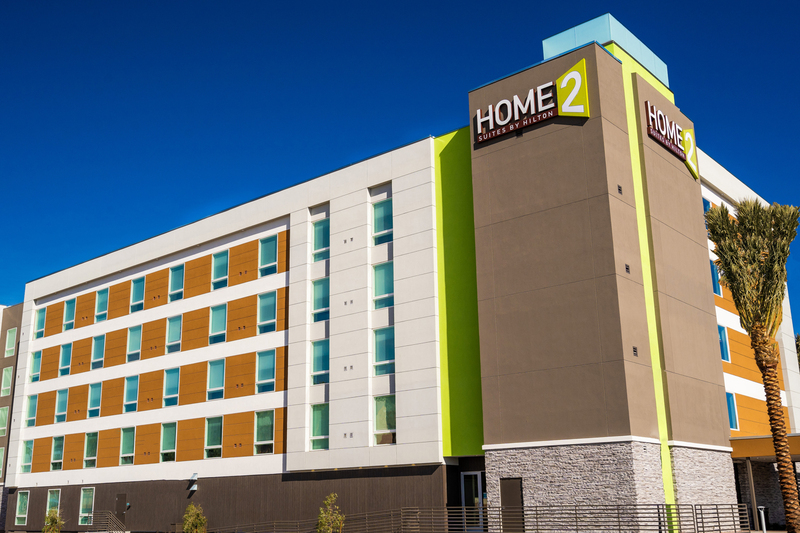 Utilizing Design, Bid, Build construction, DesignCell Architecture provided all design for both hotels within each chain’s brand standards. Operating independently from each other, the Hilton Home2 Suites and Marriott TownePlace Suites share the location and a 3-story parking garage. The Marriott TownePlace Suites is a 5-story, 113-room, 66,000 SF wooden structure featuring spacious studios and one and two bedroom suites with full kitchens as well as other standard brand amenities. The Hilton Home2 Suites is a 5-story, 135-room, 79,000 SF wooden structure featuring one and two bed suites and one and two separate bedroom suites, all with full kitchens, flexible work-zone, and living area. Each facility also features a resort-style outdoor pool.